APPEARANCE: Pours a clear burnt orange copper color. With slightly muddy brown rim variation and an Intense dark yellow center to the beer. Small but dense khaki colored head, that really left some interesting lacing patterns down my glass. AROMA: Unlike most IPA’s I have been drinking as of late, this one starts off very strong in the sweet malt profile. Warm fresh out of the oven sugar cookies laced with toffee and caramel. Lemon zest, tropical citrus profile with a tinge of mint in there as well. Lots of leaf floral hop aromas that round out the back end. TASTE: Just what I was expecting after the the nose, honey spread on toast. A bit on the sweet side of the ipa style. Very malt forward, the malts set the stage for the hops to dance on. Middle of the beer has some wonderful bright tropical fruits, before ending with a bitter grapefruit and piney medley. MOUTHFEEL: Medium sticky body paired with an aggressive medium plus carbonation.Oily, creamy and very enjoyable on the mouthfeel aspect. OVERALL: I respect this ipa for not following in the paths of others and really trying to be unique. I do feel the candied malt sweetness is a bit overpowering. If the caramel and toffee were toned just a bit I think the hops would really get a chance to dance on the stage that is Hop Drop N Roll and add a much needed balance to the beer. 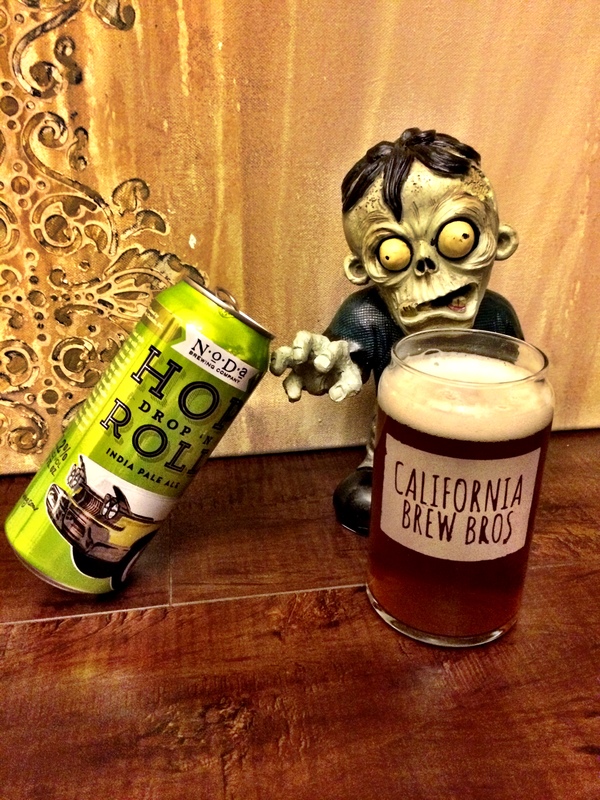 This entry was posted in Ales/IPA, Beer Reviews and tagged #beer, #beergeek, #beerme, #beernerd, #beerporn, #beerreview, #beerzombies, #craftbeer, #craftbeerlover, #dtlv, #hopdropnroll, #ipa, #lasvegas, #lv, #nc, #noda, #northcarolina, #sincity, #zombie, #zombies, malt profile, NoDA Brewing Company ABV by beerzombies1. Bookmark the permalink.